Facilitating innovation and preparing the future, by promoting the sharing of knowledge and know-how, is the essence of my motivation every morning. As the founder of Amallte, I help organizations solve complex problems, prepare their employees for the jobs of tomorrow, leverage talent from around the world and take advantage of new technologies in the digital workplace such as artificial intelligence. 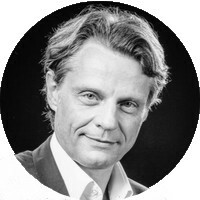 I have a wide experience of twenty years of practice in the animation and leadership of knowledge management, community governance and collaboration programs within large industrial companies (Schneider Electric, Areva, Schlumberger). I am the vice-president of the association “CoP-1 Knowledge Management & Collaboration”, a community of experts in these domains. Our vision is that we all want access to instant, relevant knowledge, in context, wherever, anytime. For this to work, we need technology of course, but we really need people who are eager to share and reuse knowledge, in the flow of work. Sharing and reusing require trust. And trust among people exist only within communities. Vibrant communities are thus essential. Passionate about this field, I teach in business schools, speak at conferences, publish articles, and wrote chapters in books on innovation communities and learning communities. Interests: People Development, Well-Being, Training, Teaching, Business, Economics, Technology, Science, Mechanics, Robotics, Artificial Intelligence. Specialties: Consulting in Knowledge Management, Conference Speaker, Social Collaboration, Strategic Planning, Cultural Transformation, Digitization, Change Management, Program Management, Communities of practices, Document Management, Business Process Analysis, Survey Design, Business Analytics, Data Visualization. Strong experience in multicultural and international environments, with English as the main working language. Experience of expatriation in Canada during five years. We help organizations solve complex problems, prepare their people for the jobs of the future, take advantage of talents anywhere, and leverage new technologies like artificial intelligence. Know-How Director for Industrial Excellence Initiated the Expert Competency program, starting by the six strategic technical domains. Helped five experts of Industrial Excellence design their community of practice; launched the Health & Safety community. Coached IT and the business on the usage of Microsoft Office 365 (Teams, SharePoint.) The Industrial Excellence department was unfortunately disbanded. Director - Knowledge Management Office Led the knowledge management and social collaboration strategy. Designed and managed the program of communities of practices, with after 6 years of growth federated 180+ communities with 20000 members, interacting daily on our enterprise social collaboration platform. This program received the "Connect People" Gold Trophy in 2015 from the CEO. Led the Schneider internal Wikipedia, with 7000 articles and 1500 contributors. Coached several global knowledge management projects, about lessons learned in projects. Supported local KM initiatives, promoted their re-use and expansion globally. Delivered performance management trainings to managers. Co-authored research papers with universities. Led a well-being initiative during 2 years. Winner of the 2017 European MAKE (Most Admired Knowledge Enterprises) Award organized by Teleos and the Know Network. Finalist of the 2017 KM Reality Award organized by KMWorld. Two books published in 2017 describe the Schneider Electric communities of practice through the Communities@Work program. Enterprise Collaboration and Knowledge Management Domain Manager. Initiated the strategy and architecture of the organization-wide knowledge sharing. Deployed best practices for virtual team collaboration. Transferred to Schneider following purchase of Areva T&D. Collaboration Business Program Manager. Managed the Pilot of the Collaboration project, aimed at instilling the collaboration culture and provide the environment to efficiently team up internally and externally. Change management and deployment of best practices were the main focus. The pilot was deployed to 2300 users located in about 10 locations in 4 countries, on the latest Microsoft 2007 technologies. This project received the "Performed by Schlumberger" Silver Award in 2010 from the CEO. Corporate Portal & Search Business Project Manager. Enabled Schlumberger to successfully capture and re-use business-driven knowledge, through content management tools and processes, embedded within the corporate intranet portal, search and online translation. Co-designed and managed the Schlumberger Wikipedia, which received the "IT Innovation" Gold Award in 2007 from the CIO. Enterprise Business Process and KM Manager at SchlumbergerSema. Created and lead the bid management community of practice (CoP) that reached 500+ members worldwide. Managed a team that designed the global Project Accounting processes and rules for the consulting business of SchlumbergerSema (which was divested to Atos the same year). Technical Documentation Project Manager. Designed and managed the worldwide deployment of the corporate Technical Document Management System used to produce XML-based technical documentation for the tools used by the field engineers. This project received the "Performed by Schlumberger" Bronze Award in 2002 from the CEO. Designed and deployed the SGML authoring environment that was used to publish the Schlumberger-specific SAP user help-on-line. Supervised the authoring of the Help-on-line by 10 technical writers..
Senior consultant. Realized audits in document organization that lead to the definition of needs, opportunity studies, and feasibility studies. Defined specifications, conceived functional architectures, and managed request for proposals. Trained clients on methodologies. Sales engineer. Prospected potential clients in document management consulting and à la carte publishing of databases on CD-ROM. Computer Sciences Trainer. Designed and taught courses for 200+ students from 11 to 18 years old. Trained adults to use computers. Managed the Photo club. 1987-1989 Masters of Sciences, Applied Mathematics - Ecole Polytechnique de Montréal (Canada). Thesis: Navigation of an autonomous mobile vehicule in a mine. 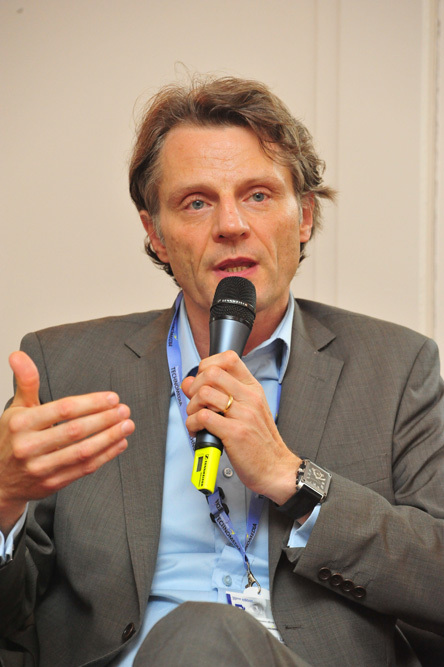 Vice-President of COP-1, the French association of managers of big companies involved in KM. Winner of the 2017 European MAKE (Most Admired Knowledge Enterprises) Award organized by Teleos and the Know Network. Finalist of the 2017 KM Reality Award organized by KMWorld. 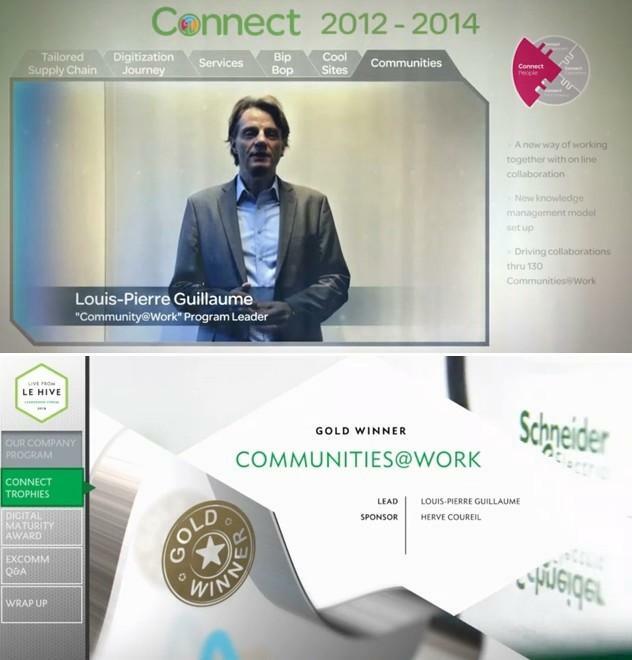 CEO Connect People Gold Trophy in 2015 for the Schneider-Electric Communities@Work program. CEO Performed by Schlumberger Silver Award in 2010 for the collaboration project, AKA Coll@borate. CIO IT Innovation Gold Award 2007 for Speedia, the Schlumberger Wikipedia. CEO Performed by Schlumberger Bronze Award in 2002 for the project Documentation and Training: An Integrated Solution, AKA the EDMS project. Swimming, science-fiction, architecture, gardening, do-it-yourself, cooking, photography, art. Les communautés de pratique et innovation (Communities of practice and innovation), table ronde / round table at 4ème Séminaire du Knowledge Communities Observatory (KCO) , BETA, Strasbourg, France, 8-9 November 2018. Assurer le partage des savoirs et le transfert de compétences (Ensure knowledge sharing and skills transfer), table ronde / round table at LTD Conference, Paris, France, 7 December 2017. Les communautés d'innovation (Innovation Communities). Chapter 8 of the book describes the steering of the Schneider Electric communities of practice through the Communities@Work program. Extracts of the book (PDF). June 2017. Communautés de pratique et management de la formation (Communities of Practice and the Management of Learning). Chapter 9 of the book describes the framework of the Schneider Electric communities of practice. Flyer (PDF). June 2017. L'entreprise à l'ère du digital - Nouvelles pratiques collaboratives (New collaborative practices in the digital enterprise). The Schneider Electric enterprise community management program 'Communities@Work' and internal wikipedia 'iSEE' are highlighted as role models. Extracts of the book (PDF). November 2016. La transformation digitale des entreprises (Digital transformation of the enterprises). The Schneider Electric Knowledge Management Office, 'Communities@Work', the enterprise community management program and 'Spice', the enterprise social network, are highlighted. Extracts of the book (PDF). October 2016. La mode des réseaux sociaux d'entreprise (Enterprise Social Networks are trendy) (PDF). Article published in L'Expansion on 30 August 2016. 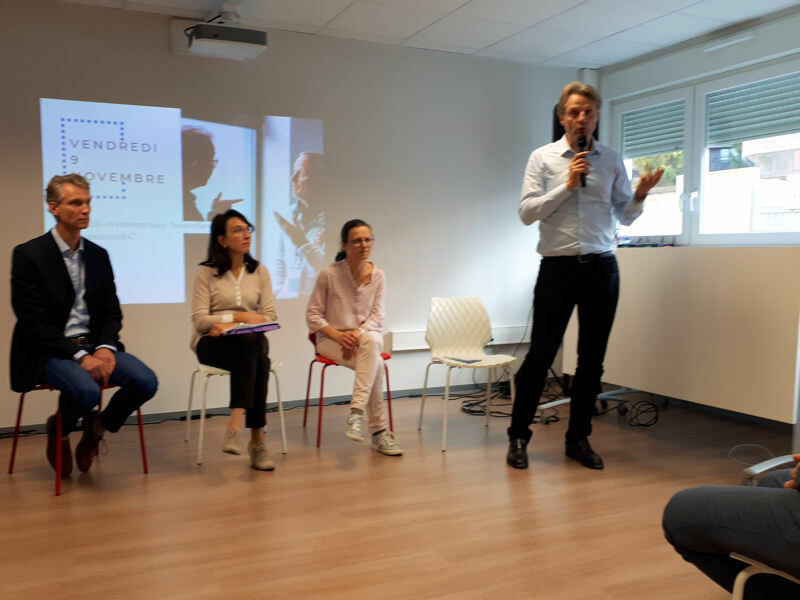 Measure the Business Value of Communities of Practice (PDF), at 1er SYMPOSIUM du Knowledge Communities Observatory, KEDGE Business School Toulon, France, 11-12 June 2015. Communities of Practice and Busines Value (PDF), at Ecole de Management , Strasbourg, France, 2 April 2015. Video recording of the event. Transformer le learning à l’heure du digital, question de mindset ou de technologie? (Augmenting employee engagement and business value through global communities) (PDF), at LTD Conference, Paris, France, 4 December 2014. Video published (Video). Schneider Electric tord le cou à quelques idées reçues sur le 2.0 (Schneider Electric debunks some misconceptions about 2.0). Article published in BFM TV on 25 June 2014. Les communautés renforcent l'entreprise (PDF). Article published in L'Usine Nouvelle on 5 June 2014. Social media: What’s trending? Article published in the Schneider-Electric Sustainability Report 2013-2014 on May 2014. Wanted: An Active, Viable, Collaborative on-Line Community (PDF). White paper published on the Schneider-Electric Web Site on 19 March 2014. Schneider Electric finalist at KM Reality Awards at the 2013 KMWorld Conference 2013. Schneider Electric was finalist of the 2013 KMWorld Reality Award, thanks to both its enterprise community management program and its social collaboration platform. KM World on 29 October 2013. Schneider Electric Plugs its Employees on its Enterprise Social Network (Schneider Electric branche ses salariés sur son réseau social). Article published in the magazine 01 Business on 17 October 2013. How to Avoid Chaos 2.0? (Comment éviter le chaos 2.0 ?) (Video). Roundable in the TV program 01 Business on BFM TV, 14 September 2013. The Enterprise Social Network, Enabler of Growth (Le RSE comme levier de croissance). Article and video interview published in the magazine INfluencia on September 2013. Communities of Practice, first enabler of Schneider Electric's Enterprise Social Network (PDF). Article published in Collaboratif-Info on 25 April 2013. KM methods and practices - Communities and Collective Intelligence (PDF). Article published in Documentaliste - Sciences de l'Information 2012/2 Vol. 49, Page 51. Project Coll@borate: Increasing Productivity Through Technology (PDF), SPE R&D Conference, Lisbon, Portugal, March 2009. The management of communities of practice (PDF), participated to a round table at the iExpo - KM Forum 2.0, Paris, June 2008. Notes. Apprivoiser MoReq - Pour archiver et conserver l’information, participation to the French working group on best practices to implement the Model Requirements for the Management of Electronic Records, January 2005 - October 2007. Publication and Distribution of XML-Based On-Line Training (PDF), Documation 2000, Paris, March 2000. Access to Document Management Databases on an Intranet, Documation 97, Paris, February 1997.